I have a love/hate relationship with the yarn called Einband. It's all Icelandic lace weight wool that comes in a variety of beautiful colors but stings like crazy ... or at least it stings me like crazy. I have loads of it in my stash and buy even more from time to time. Why? ... Well the colors. They're just so beautiful. They range from muted natural sheepish colors to vibrant, bold colors in almost every shade. I'm such a sucker for colors. Click here to see all the colors available. 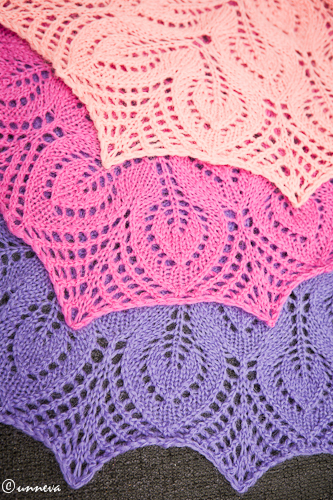 Einband is a great yarn for shawls and delicate lace designs. But like I said, it stings me like no other yarn. I'm able to wear regular lopi next to my skin without problems but Einband I almost can't wear. For example I made this dress in 2009 but never wear it, mostly because of the stinging. The only use I have for Einband is when I combine it with single strand plötulopi. By doing that it doesn't sting as much. I often use this method with shawls to strengthen the plötulopi which tends to tear easily. It would be so great to be able to wear it and make beautiful shawls or light but warm garments out of it. It helps a little to wash it with a hair conditioner but sadly not enough for me. But I do know a lot of people who can wear it without problems so do not be to discouraged by my bad luck and sensitive skin. 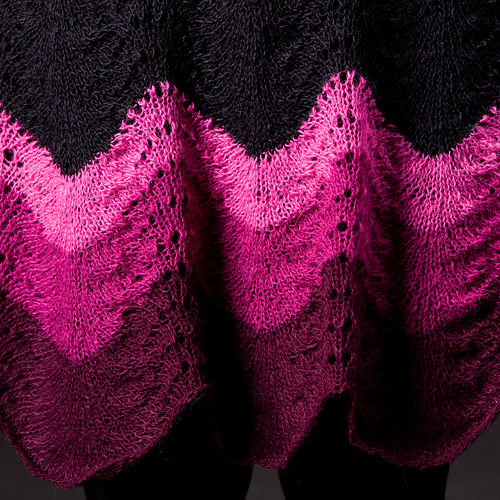 Although it's lace weight, Einband can be knit with bigger needles with good results. 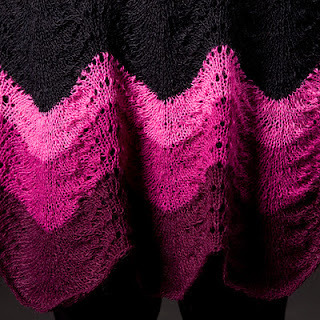 My dress was knit on 4 mm needles (US size 6) and I'm currently making a sweater on 6 mm needles (US size 10). Both look great but very different. I think it's the fuzziness of the yarn that makes this possible, kind of like mohair but less fussy. Istex has published a pattern book with a few pattern made with Einband. Click here for the online preview. There are also a few designs in Lopi 30 and Lopi 31 (not available online yet).